← What Do Mini Dental Implants Cost? Dentures have been around for a long time now, and they’re still one of the most popular choices for patients who need to replace a full arch of teeth. In fact, dentures (also known as false teeth) have been used for centuries by dentists looking to replace their patients’ missing teeth. Throughout history, dentures been made from various materials, including wood, ivory and bone. No doubt, the idea of dentures carved out of animal bone is very off-putting, but luckily getting dentures isn’t as nasty an affair as it used to be. With the help of modern dentistry, your dentures can be made to fit perfectly. Adjustments can also be made to accompany any changes in your jaw as you age. But despite all the advancements, regular removable dentures still aren’t an ideal tooth replacement option. The device only rests on the gums, meaning it doesn’t replace any of your missing tooth structure below the gum line. As mentioned, dentures can be far from an ideal tooth replacement option. Whenever possible, dentists often prefer to replace missing teeth using more permanent options, like all-on-4 dental implants or implant-supported bridges. But because a full arch of implanted teeth isn’t a financially viable option for many patients, a surprisingly large amount of Americans opt for regular removable dentures rather than dental implants. Not only does wearing dentures affect these patients’ lives – seeing as they tend to shift in the mouth and even fall out on occasion – but also their appearance. Unfortunately dentists have to extract teeth to fit dentures. Once a tooth is extracted, the bone in that area of the jaw immediately starts to recede. This deterioration of bone tissue will take its toll on your appearance. Your teeth play a big role in supporting your facial structure, making it look fuller and more youthful, so the difference in your face could already be visible immediately after extraction. In short, wearing dentures may make you look older than you used to. And once you’ve got dentures, your face may age faster because of the jaw tissue that deteriorates where your teeth have been extracted. This leads to your face looking sunken and hollow. 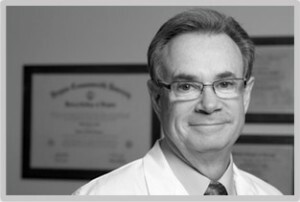 Dr. Stone has been practicing cosmetic dentistry in Ft. Lauderdale since 1979. His success as a cosmetic dentist is based on years of advanced dental education culminating in a specialty degree in Prosthodontics and over 30 years of practical experience. Wearing dentures shouldn’t have to be like a life sentence of faster aging, reduced confidence and discomfort. 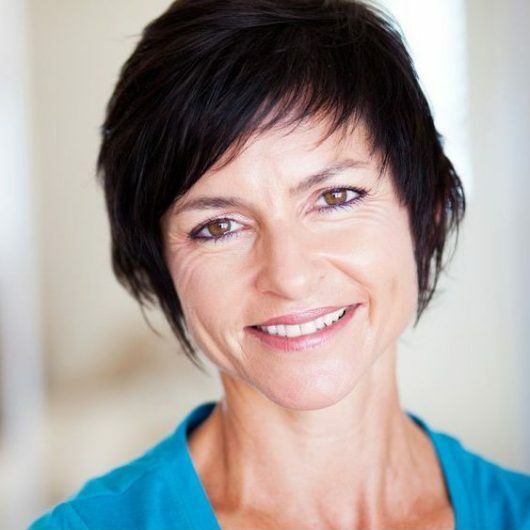 There are options available that can help combat the aging effect of dentures on your appearance. Some patients choose to go for filler treatments like Juvéderm and Restylane, but while they do help, it’s not a long-term solution. A proper fit: This seems simple, but many patients don’t realize the impact well-fitting dentures can have on their appearance. Not all dentures are equally good, and seeing a prosthodontist to fit your dentures can help, as prothodontists specialize in helping patients with dental prosthetic devices. Dental implants: Removable dentures can be supported using one or two dental implants. Using this method, dentures can be clipped onto permanent implants. Not only do the implants help to prevent the dentures from shifting, they stimulate bone growth, thereby slowing the aging process. Implant-supported dentures are typically cheaper than getting full implants, making them a great option for patients who want to live without the worry of shifting teeth, but who can’t afford more conventional implant tooth replacements. What should be clear though, is that getting the right dentures can take years off your face and improve your quality of life. At the same time, the opposite can also be true, and a bad set of dentures can accelerate the aging process. If you would like to see a denture specialist to learn more, feel free to get in touch with Dr. Stone and book an appointment.